I had originally planned to run 14 miles today, but I had originally meant to get out of bed in the morning and not laze about. The forecast was for rain in the early afternoon, and my original plan had been to get a run in before the terrible weather. Oh well. The rain came, and what was meant to be a ‘chance of light shower’ turned into about an hour of proper rain/hail/snow. Fabulous. I very nearly binned the idea of going out for a run. And then came 4pm. And the sun. And a sense of guilt for having fueled up last night (and, admittedly, lunchtime today). So on went yesterday’s running tights (don’t judge, they’re going in the wash soon), and don’t went an entire bottle of Powerade (unwise, I was feeling pretty nauseous between mile 3 and mile 7). The run was fairly uneventful, I just chugged on hoping that my planning would take me somewhere close to 14 miles, because I knew if I ended up back on my street before, I wouldn’t turn away. And? Success! 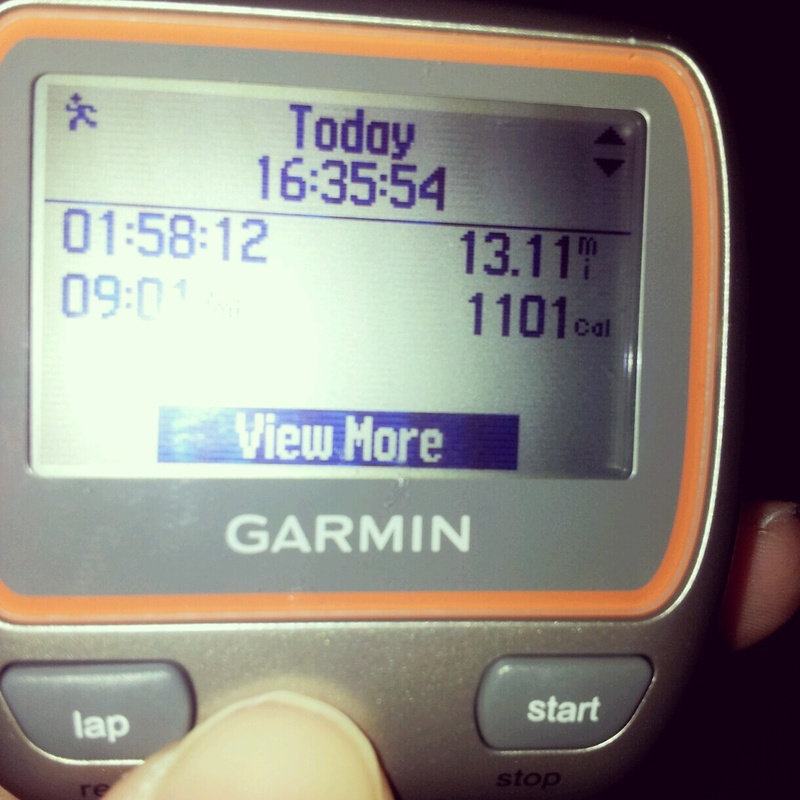 My longest training run to date, and the second time I’ve run a half marathon distance (with several minutes knocked off my time)! Edinburgh – bring it on! This entry was posted in aberdeen, half marathon, Running, Training and tagged 13.1, aberdeen, Edinburgh, running by MedalSlut. Bookmark the permalink. Glad to know I’m not the only one who leaves long runs to the last minute and sticks on yesterday’s running kit! Hey, if it means I can delay another huge clothes wash another day, I’m in! I go through ridiculous amounts of detergent!